See how Red McCombs Toyota is Driven to go the Extra Mile for You. We have excellent vehicles to choose from. Driven to go the extra mile. Why spend hours at the dealership? Complete your transaction online with our Online Concierge Service, then choose our Curbside Express or Home Delivery Options. Take advantage of our 24-Hour Test Drives and get to know our vehicles on your own terms. Buy with confidence with our price transparency guarantee and 3-Day Exchange Policy. Enjoy our $0 Down Payment deals and much more! For many of our customers, spending time at the dealership is just not an option. With our Concierge Service, you can complete the majority of the car buying process online, and then choose one of two options: Curbside Express or Home Delivery. With Curbside Express, your vehicle will be detailed, gassed up, and ready to go upon your arrival. Or, you can choose the Home Delivery option, and we will bring the vehicle directly to your home or workplace. to choose from at Red McCombs! Get the first-class customer service and easy car-buying experience you deserve by coming to Red McCombs Toyota. Whether you’re shopping for a new car or you need expert auto repairs close to home, you can always count on the pros at our San Antonio Toyota dealership. From our huge selection of new, used and Certified Pre-Owned Toyota vehicles to our state-of-the-art service facility, we have you completely covered. 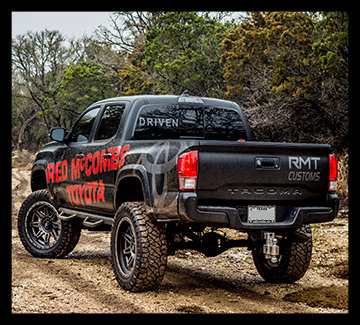 Pay us a visit and see why so many drivers in Greater San Antonio are choosing Red McCombs Toyota! 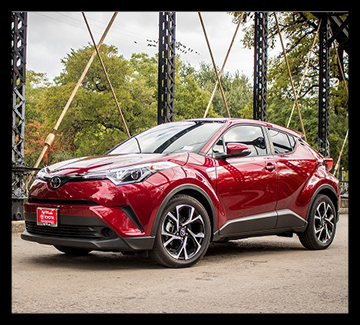 The wide range of new Toyota cars, trucks, vans and SUVs for sale at Red McCombs Toyota makes find the right car for you a simple task. From new Toyota Corolla and Camry sedans to new Toyota Highlander and RAV4 SUVs, we have plenty of options for you to explore. If you’re looking to buy a new Toyota truck, we have a stellar selection of new Tundra and Tacoma pickups. 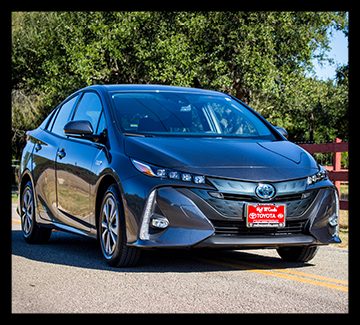 You can also lease a new Toyota hybrid model to get an eco-friendly car for everyday drives. Are you shopping on a budget? Check out the used Toyota cars and Certified Pre-Owned Toyota vehicles we have on our lot to get a high-quality used car at a great price. Sit down with our Toyota finance team when you’re ready to talk lease and loan options, and we’ll be happy to help you lease or buy a new Toyota you love! When you need routine Toyota maintenance and repairs, know that you can always count on the Red McCombs Toyota service center for a job well done. Whether you’re looking for a Toyota oil change, tire rotation, brake pad replacement or other Toyota service, you can get the quick car care you need at our dealership. You can schedule Toyota service online and view our Toyota service specials to plan out your visit. Do you need genuine Toyota parts and accessories? 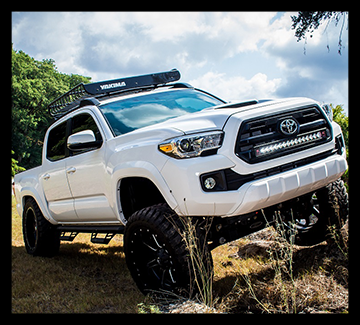 You can buy OEM Toyota parts onsite or by placing an order online now! Visit Red McCombs Toyota at 13526 West Interstate 10 Frontage Road in San Antonio, TX, to get the VIP experience you desire. We’re just a short ride away from New Braunfels, Alamo Heights, Helotes and the rest of Greater San Antonio. We’ll see you soon!